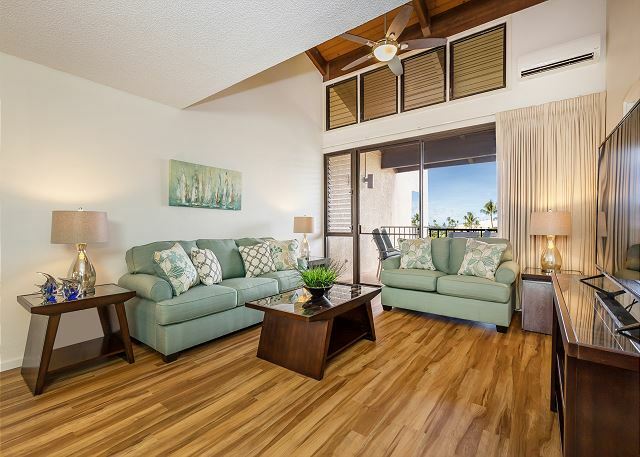 You’ve been dreaming about your Hawaiian vacation for weeks now – maybe even months. You want to discover pristine beaches, explore jungles, and admire stunning mountain tops. What if we told you that you can do all three things at the same time? Simply book a Maui helicopter tour! It’s an epic activity you need to try at least once. Soar high in the sky and experience views like nowhere else. We’ve even selected the five best tours so you can enjoy your trip to the fullest! Start packing your bags and get ready for the adventure of a lifetime with PMI Maui. Discover more beautiful places on Maui when you request our free Vacation Guide! With gourmet restaurants, breathtaking beaches, and plenty of fun events, there is so much for you to enjoy. Have the Hawaiian vacation of your dreams with these five Maui helicopter tours! Air Maui is the top-rated helicopter tour company on the island. You’ll have a spectacular ride through the sky above jaw-dropping mountains and white-sand beaches. Feel the power of the wind rushing through your hair and explore Maui in an unforgettable way. Without doors to separate you from the beauty below, you can truly immerse yourself in the experience and take impeccable pictures of the waterfalls and rainbows! A 50-minute tour in one of Blue Hawaiian’s helicopters gives you a fresh perspective on the magic of Maui. Forget about the nervousness if it’s your first time; the pilots will reassure you, and the scenic views will make you forget all about it! You will even be offered some Champagne after you land. Local Tip: If you’re visiting between November and March, watch out for whales down below! Maverick Helicopters is a fantastic Maui tour company that provides excellent service. Their ECO-star helicopters use quiet technology for a more enjoyable and organic experience. Plus, the company guarantees the highest level of safety, so you can live out your adventure to the fullest. You’ll also gain a lot of knowledge from the pilots. They always have fun and insightful anecdotes about the island! Explore the hidden treasures and rocky terrain of Maui with Sunshine Helicopters. The company established themselves more than 25 years ago and has a reputation of excellence and quality. Discover the two million-year-old features of Maui: the West Maui mountains, Haleakala volcano, fields of sugar fields and pineapples, and surfing spots on the North Shore. Pacific Helicopter Tours offers doors-off tours around the island that are perfect for groups of friends and family. Take your vacation to another level with a top-notch fly over Maui. The staff is friendly and very accommodating, so you won’t be disappointed! 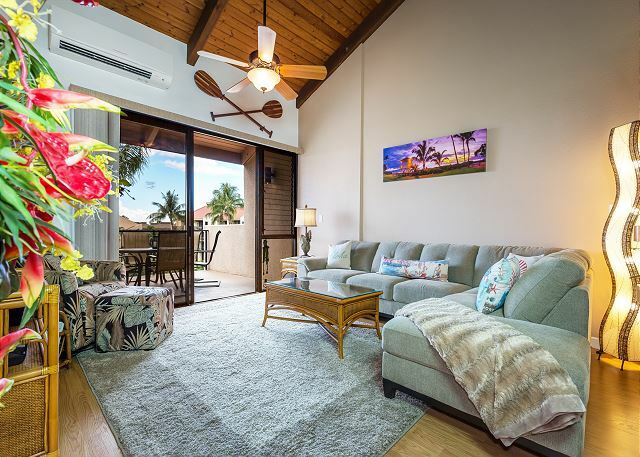 After spending an incredible day witnessing stunning views of Maui, come home to one of the luxurious rentals at PMI Maui. 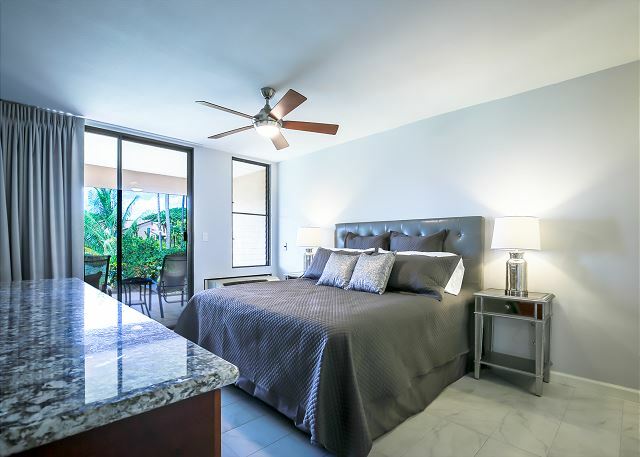 Our comfortable units will make you feel like you have stepped into a home you can make lifelong memories in. 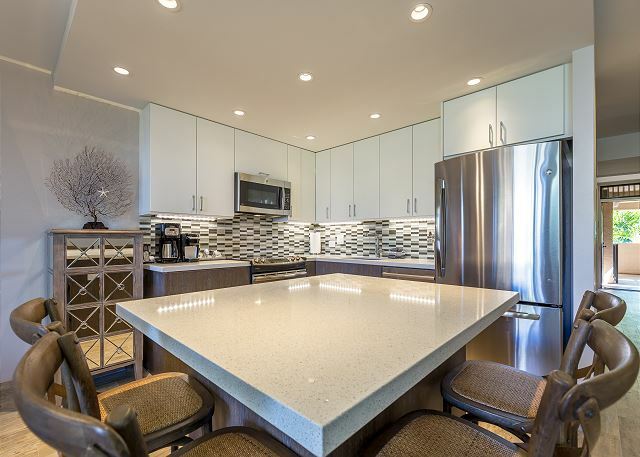 Enjoy the modern amenities and stunning views of our Kamaole Sands 1-102 condo. Relax with a glass of wine on your private balcony, enjoy two private hot tubs, or hang around the large pool area with your loved ones. 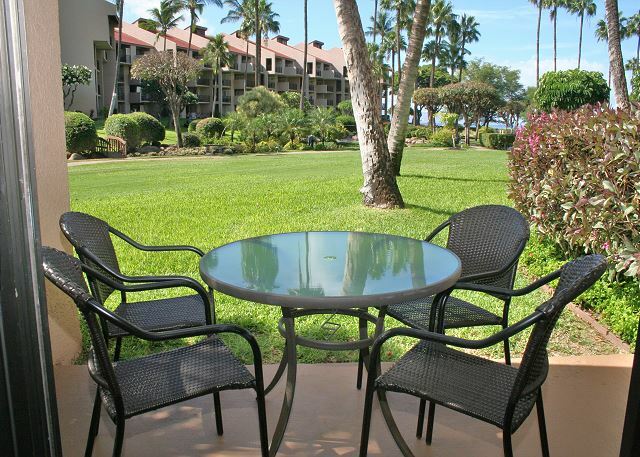 Beach towels and chairs are included in the rental, as are boogie boards! Book your stay today and finally live out your dream vacation!